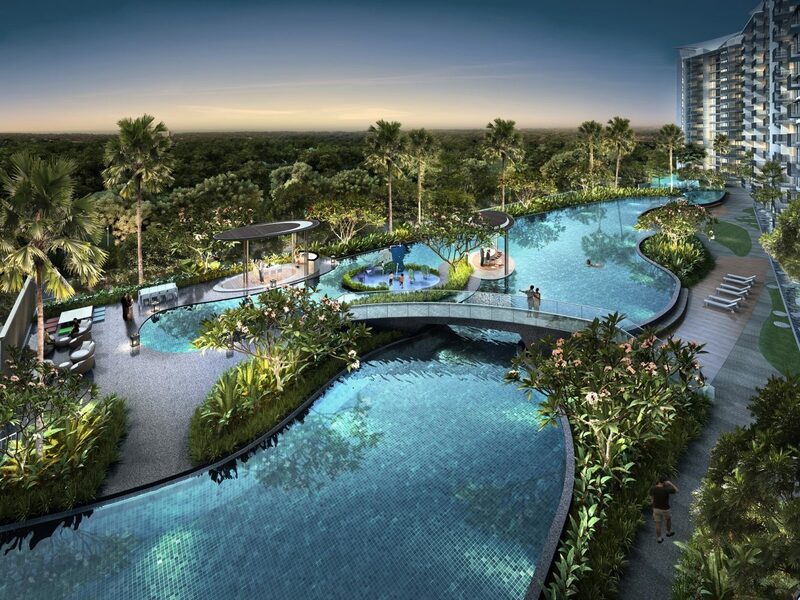 Kingsford Waterbay is an upcoming 99-year condominium along Upper Serangoon View. It consists of 1157 units of apartments in 9 16-storey blocks, 6 units of 2-storey strata terraces, 2 units of strata semi-detached houses. In total there are 1165 residential units in this development. What is unique about this development? The blocks are lined up in a straight row. One side of the development faces the development’s swimming pools and facilities and the other side faces the Sungei Serangoon river. This 8-kilometre river starts as a canal near Tampines Road and flows through Hougang, where it is joined by tributary Sungei Pinang just before Sengkang, before flowing towards Lorong Halus, where it is joined by another tributary Sungei Blukar, before emptying into the Serangoon Harbour. The river is also known as the Serangoon Estuary. Since 2011, the river has been converted into a reservoir – Serangoon Reservoir. Whether you face within the development or the river, the views are stunning. It is either pool, facilities view or river view for buyers of Kingsford Waterbay. Thus, in essence, every unit comes with either a pool view or a reservoir view. If you are looking for a development with a resort, back to nature feel, this development should be high up on your list. Also, there will be commercial shops in the development. There are plans to have a childcare run by an experienced operator. This childcare will be accessible to residents and non-residents. You really have to take a walk along the river. It is truly scenic. There is a park connector running along the side of the river. Residents of Kingsford Waterbay can access the park connector easily. It is that pathway which you see in the picture above. That path leads all the way to Punggol. The path is truly scenic. 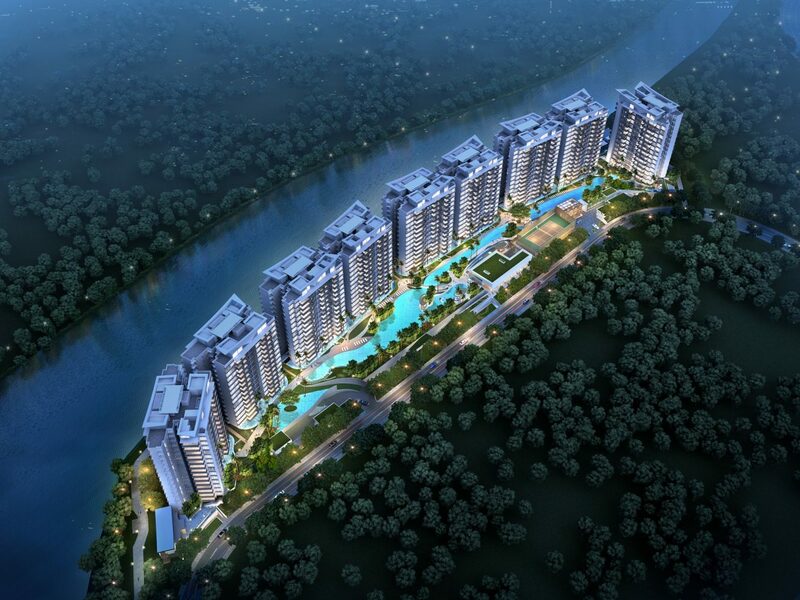 Kingsford Waterbay will be the closest condominium to the river. In fact, it now blocks the previous developments which had the river views. Kingsford Waterbay is 2 bus stops away from Hougang Central where there are malls, shops, hawker centres, a bus interchange and Hougang MRT Station sits on the North East Line (NEL) which is one of the fastest and most direct lines in terms of travelling to the Singapore city centre. According to the rail operator, it takes about 20-24 minutes to travel from Hougang Station to Dohby Ghaut Station via the NEL. If you include the travelling time from the bus stop just next to Kingsford Waterbay, the total time taken to get to town would be around 35 minutes. There will be a shuttle bus which will bring residents to Hougang Central as well. Residents can utilise this service to bring them to and fro Hougang Central. If you have a car, these are the travelling times to the various amenities around the development. Also, the entrance to the KPE/ TPE is just around the corner. You can just drive around the corner and turn right at the first cross junction along the main road into Buangkok East Drive and you will see the entrance to KPE. This expressway links all the way to Singapore’s Central Business District. There are many schools nearby. Here is a list for your reference. I would like to purchase this property for investment. Will I be able to rent it out? Also, I would like to sell it in a couple of years, who are my potential buyers. Just as most properties in the heartlands, there will always be tenants from the surrounding areas. Lorong Halus and Defu Industrial Parks will provide some tenants and so will Seletar Aerospace Park. However, the key development in the area would be the plans for the Serangoon Sub-Regional Centre. The surrounding areas are mostly HDB flats. There is also a huge number of HDB flats in Sengkang and Punggol. These households are generally very young. 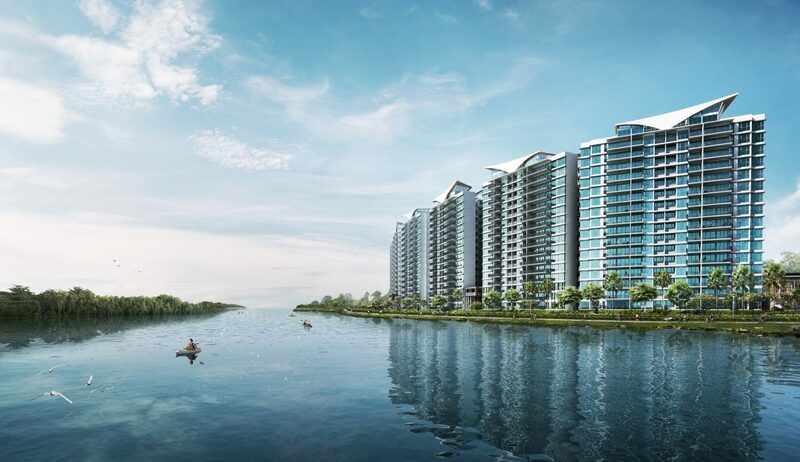 They would have grown accustomed to living in the area and many are very appreciative of the river-side living lifestyle which has been developing in Punggol. 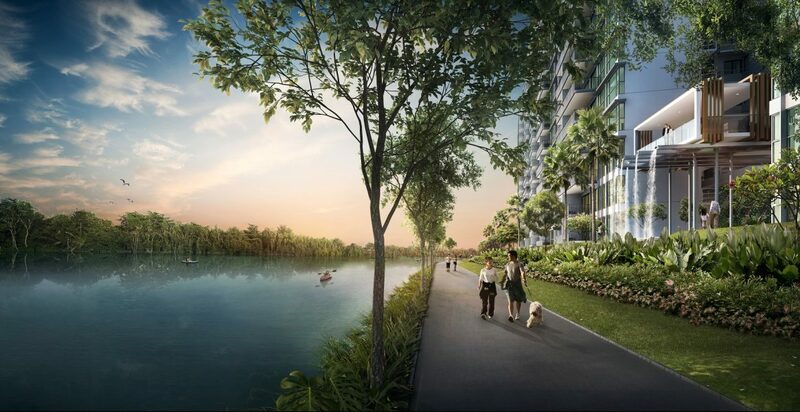 If they want to enjoy riverside living by the Sungei Serangoon river in a condominium, Kingsford Waterbay is their only option. Walk along the river. It will be really scenic during sunset and sunrise. The recent buoyant sentiment in the property market does bode well for property investors. If you are looking for more information about Kingsford Waterbay, you can visit the Developer Sales Team website to find updated prices, download the e-brochure or book an appointment to view the showflat.